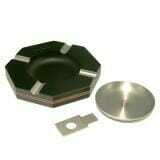 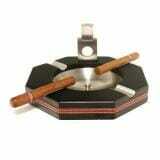 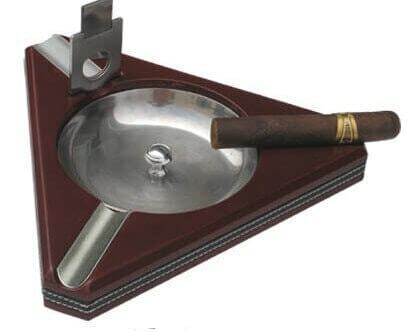 This matt black with leather strap cigar ashtray will accommodate 4 cigars. 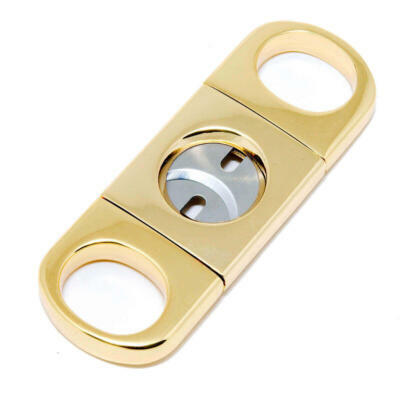 This ashtray comes with a single guillotine cigar cutter that will fit into the slot on top turning this wonderful ashtray into an amazing table top cutter. This matt black with leather strap cigar ashtray will accommodate 4 cigars. 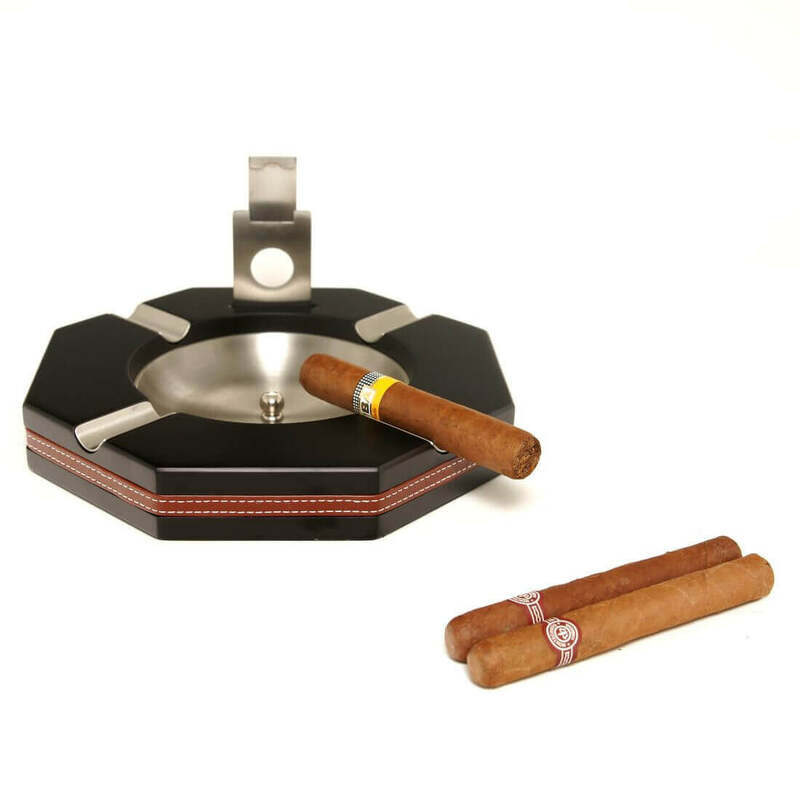 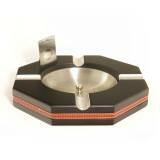 This cigar ashtray comes with a single guillotine cigar cutter that will fit into the slot on top turning this wonderful ashtray into an amazing table top cutter. 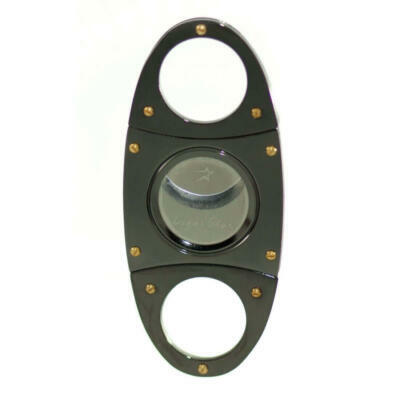 * Matt black with leather strap with large Stainless steel removable base. 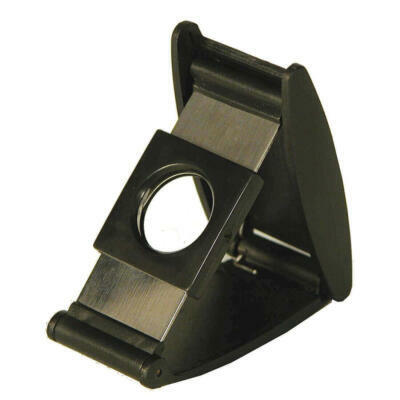 * Removable single guillotine cutter. 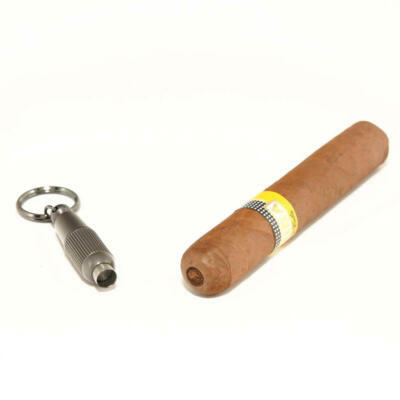 * Will hold 4 cigars. 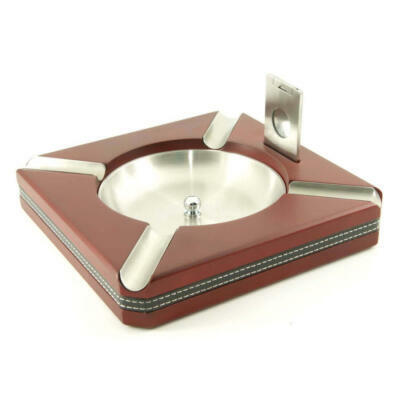 * Removable stainless steel base.